Veriown is bringing connected solar energy to even the remotest corners of the planet. Harnessing local sustainable energy, Veriown is the world's first Internet Energy Service Provider. There are currently 1.2 billion people around the world still without access to the power grid but who collectively spend some $27 billion a year on kerosene and other stopgap energy sources. 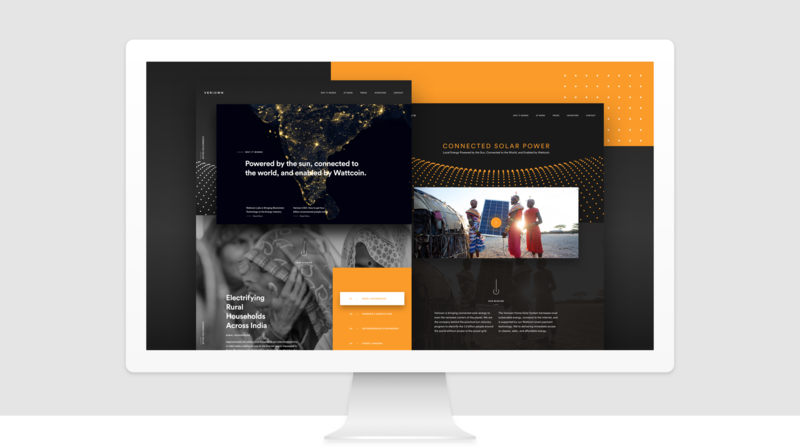 The Veriown Connected Solar System gives kerosene-dependent households immediate access to cleaner, safer, and affordable energy; internet connectivity; and easy-to-use Wattcoin PAYGo and banking services. Creative Strategy; User Experience Design; Content Strategy; Visual Design; Front-end development. 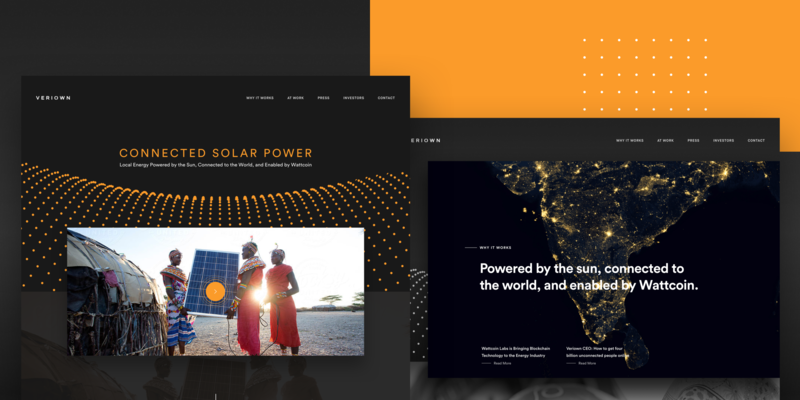 Design efforts focused on creating a narrative that would complement the use of photography and drone footage featuring action shots of the Veriown Home Solar System. 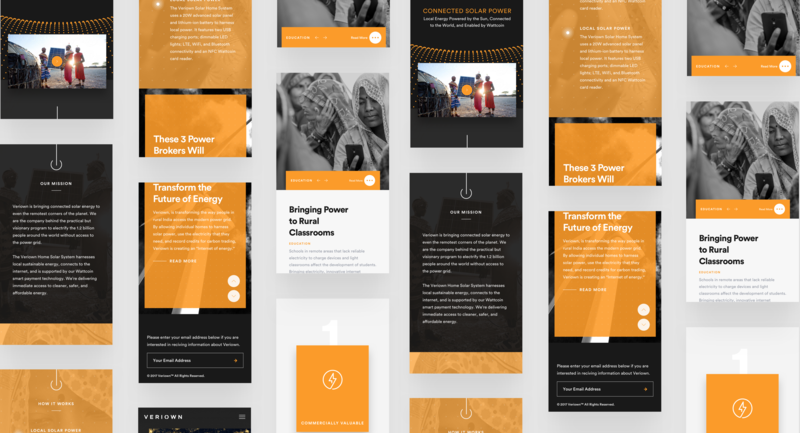 Using canvas, we built an undulating field of dots as a visual representation of an energy grid–intended to create an element of surprise and delight, while contrasting colors and compelling content lend to an engaging user experience. 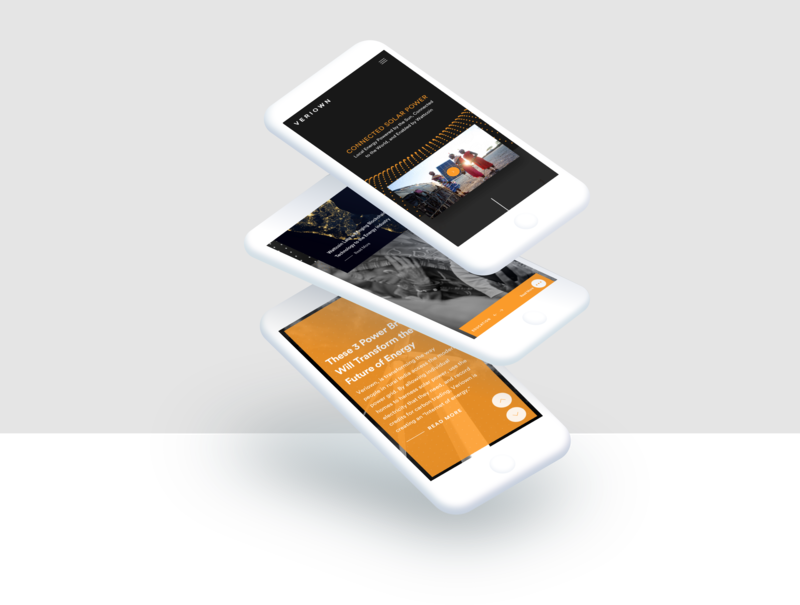 The goal was to create an experience that combined digital and indigenous allowing users to gain a better sense of how this system would enrich the lives of people living in the most remote corners of the world. As Director of User Experience, I led a core team of designers and developers navigating the creative process from start to finish. My Initial efforts focused on understanding core business objectives, conducting extensive user research and stakeholder interviews, and the creation of a strategic vision and roadmap outlining the experience. This was followed by wireframing, interactive prototypes, and iterative design aimed at validating assumptions and gathering feedback on visual concepts. 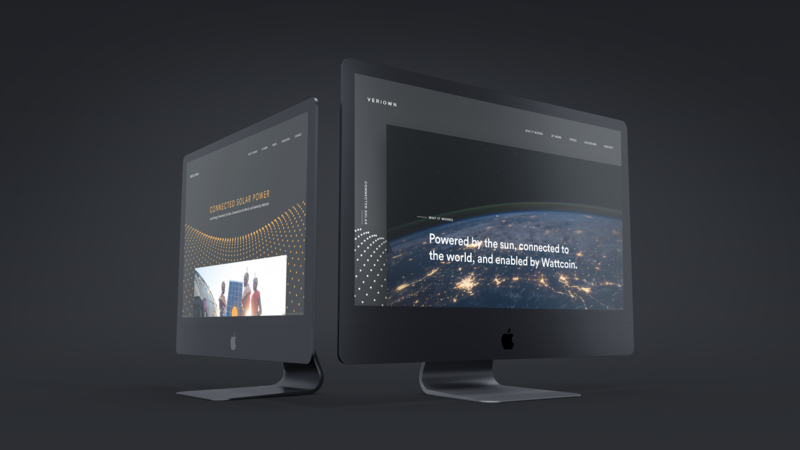 Backed by a custom CMS our efforts produced a seamless experience combining impactful visuals with groundbreaking content that provides users with engaging insights into the world's first internet energy service provider. The website allows visitors to gather information, view the product within the context of real life use cases, and provides investors with key insights into Veriown's unique value offering.